SIX MONTHS FROM NOW, YOUR FIRM WON’T BE THE SAME FIRM IT IS TODAY. How so? It might become more competent. Or not. It might grow. Or not. It might evolve into any number of directions, because nothing escapes the inevitable law of change. Everything is always in the process of becoming something else. So you could evolve to a larger, more efficient and more profitable firm. The firm could gain more freedom with more diverse and interesting clients. It could enable everyone in the firm to make more money, be happier and have more opportunity to move up without leaving the firm. Or not. When we work together, just as I have with a multitude of CPA firms over the past 30 years, I’ll help you grow – and inspire you along the way. 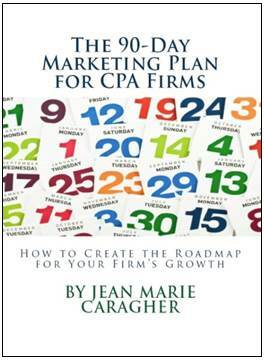 Take a look at what I’ve done for other CPA firms here. Then, consider what we can accomplish together for your firm. You’ll find that your firm will never be the same. Which will be a good thing. 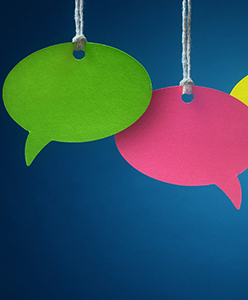 Ready to talk about how to create or revive your firm’s marketing program? Seek client feedback? Build your brand? Need help with current marketing initiatives? Contact Capstone Marketing today. What will your experience of working with Capstone Marketing be like? Read the feedback below provided by my clients, past and present. Their words are more important than anything I could tell you. “My firm hired Capstone Marketing and Jean Caragher to perform “Brand Surgery”. Capstone was one of three firms we vetted and was the most responsive and detailed in their proposal, hitting on the nose the deliverables that resonated with us. Their research was tremendous and their process very flexible but organized. At the end, we have a name we love and an identity that reflects who we are. Thank you, Jean!"